Have you not received the info brochure delivered by Luova in April? 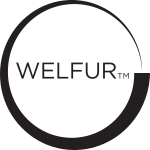 The WelFur-system of Fur Europe is used to look into the animals’ well-being in four different basic areas. Feeding, growth environment, behavior and health. The independent and accredited company Baltic Control, handles audits. In Finland, Luova Oy is subcontractors to Baltic Control. The animals in Finland that are produced for their fur are fox, mink, and finn raccoon. Finland is one of the biggest producing countries when it comes to fox. The breeding and refinement of blue- and silver fox has been going on for over 100 years. At Luova there’s a test farm with breeding animals: 600 mink females and 330 fox females.